Launched back at the end of July, Microsoft's rebranded Outlook.com has seen some impressive growth over the past four months. The email service has attracted an average of more than 6 million users per month since its inception, and earned 25 million users as of November. Competitors like Yahoo! Mail and Gmail are still quite a bit ahead of Outlook when it comes to the userbase. As of June, Gmail was host to 425 million users globally, but Yahoo! Mail retains the number one spot in the U.S. with 92 million unique users. To be fair, Yahoo! Mail launched in the mid-90s, while Gmail first opened shop in 2004. Understanding Outlook.com is still in the early stages, Microsoft has committed to introducing even more features in the coming weeks, including a brand new Android app. During the early days of Outlook, Microsoft discovered nearly one-third of all Outlook users were actually Gmail users trying out the new email service for the first time. As a result, Microsoft recruited hundreds active Gmail users for a study to learn what these new customers enjoyed about the new Outlook.com. After just five days with Outlook, Microsoft claimed Gmail users preferred Outlook's improved spam filtering, Outlook's design, and how easy Outlook made it to share documents. Microsoft polled these subjects, and found four out of five Gmail users said they would switch to Outlook.com. When and if those users do make the switch, they'll find a host of new and improved features awaiting them. The biggest addition to Outlook's arsenal is the new Android app, which launched Tuesday on the Google Play store. The Outlook app will work with Android version 2.1 and higher, and will allow users to set up multiple Outlook accounts, as well as syncing calendars, contacts, and custom folders. 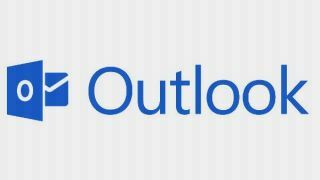 Outlook.com itself will also gain some new attributes over the next few weeks based on feedback from the millions of current users. More keyboard shortcuts are on the way, as are additional customization options for individual mailboxes. Users will also be able to archive messages with the click of one button soon, but like the other coming changes, Microsoft didn't detail exact dates for when these updates would take place. Competition drives innovation, and as Outlook continues to grow, it will be interesting to see what improvements Google and Yahoo! bring to their respective services in response.